Dr. David K. Gattie is an Associate Professor of Engineering at the University of Georgia. Earlier this year, he co-authored PACE’s paper on net metering. We thank him for providing a guest blog drawing our attention to a smarter way forward on climate change policy. 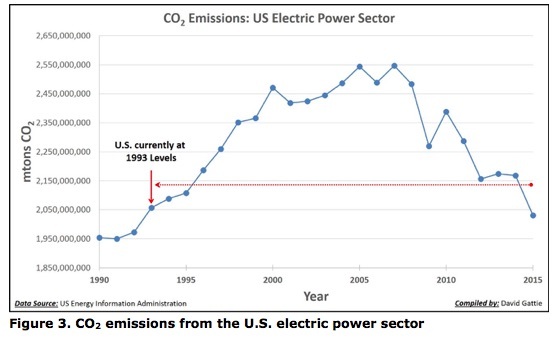 I recently posted a commentary in The Hill explaining why the U.S. could do better than the Clean Power Plan (CPP). 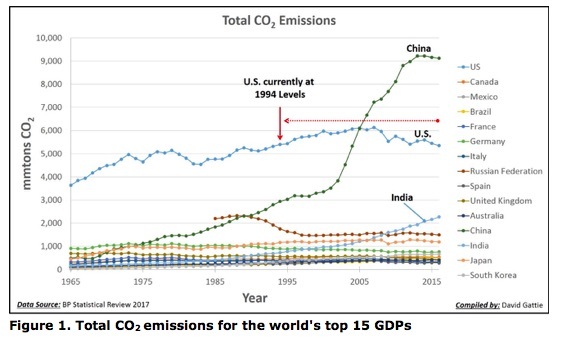 As always, I try to implore others to look at the bigger picture and see global climate change as the global issue it actually is and not just a U.S. issue only. From time to time, I share these ideas and short, digestible research and analysis at https://davidgattieblog.wordpress.com/. In addition, I try to emphasize that without nuclear power we can’t meet future global energy demands and global carbon objectives simultaneously. 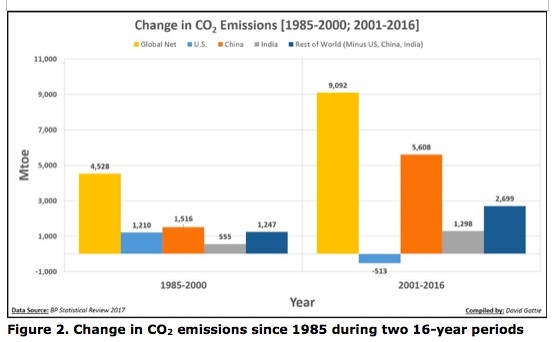 While regulatory efforts to curb emissions from the U.S. electric power sector will continue over the years in forms we can’t yet predict, data trends point to the east and to emerging economies as where we must focus our attention. In order to succeed, we can’t lecture them to curb their energy consumption, but instead should engage with them in pursuing technologies that will help them meet their economic objectives. 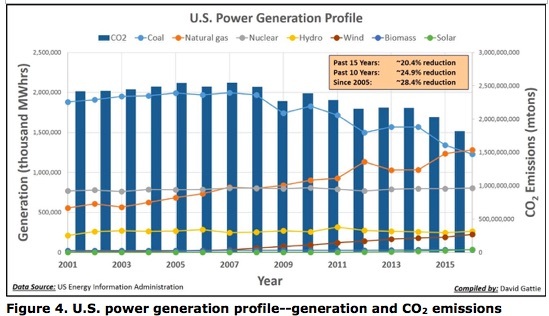 The 4 charts below show the significant results the U.S. power sector has achieved in curbing carbon emissions and place the U.S. in context with other nations. The International Atomic Energy Agency is in the beginning of its International Ministerial Conference entitled, “Nuclear Power in the 21st Century.” Around the world, emerging economies in need of more energy-dense resources, not less, are pleading their case for more nuclear power to meet those needs without compromising climate objectives. America can be a great ally in these efforts, but U.S. industry cannot compete with state-owned enterprises (SOEs) in countries such as China and Russia, which are stepping into these regions and providing the needed nuclear expertise and technology. We need comprehensive energy policy that will allow U.S. industry to compete with SOE’s and maintain U.S. strength and geopolitical leverage in the global nuclear supply chain. This is something we don’t want to cede to China or Russia. The U.S. has the technology, the innovation and the industrial heft to engage with the world in civilian nuclear power technology. What we need, but seem to lack, is the political resolve to do something creative, big and impactful.